CHENNAI. NOV.13. 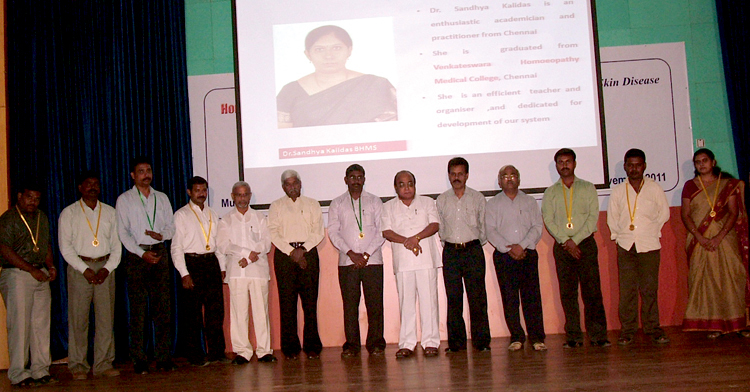 Indian Homoeopathic Medical League (IHML) had been launched at Chennai by senior homoeopaths. This was announced officially at Chennai and approved the Head Quarters for the Tamil Nadu. The installation ceremony held at Chennai and the governing body members Dr. N. Subramanium, Dr. A.S.Manickavel, Dr. P. Subramanium, Dr. A. Thamaraiselvan, Dr.S.Mohammed Aleem installed the office bearers. Dr.P.Victor dass was nominated as president and Dr.P.Viyay Anand as General Secretary, Dr.D.Britto Wilbert Das was announced as Vice president, Dr.B.Vigneswaran as Joint secretary and Dr.Alwin Babu as Treasurer of the Head quarters. The Executive Members includes Dr. K.Sandhya, Dr.Prathibha, Dr. V.A.Jawahar, Dr. Selvarai, Dr.Bibin V. Varghese, and Dr. Nivethitha.